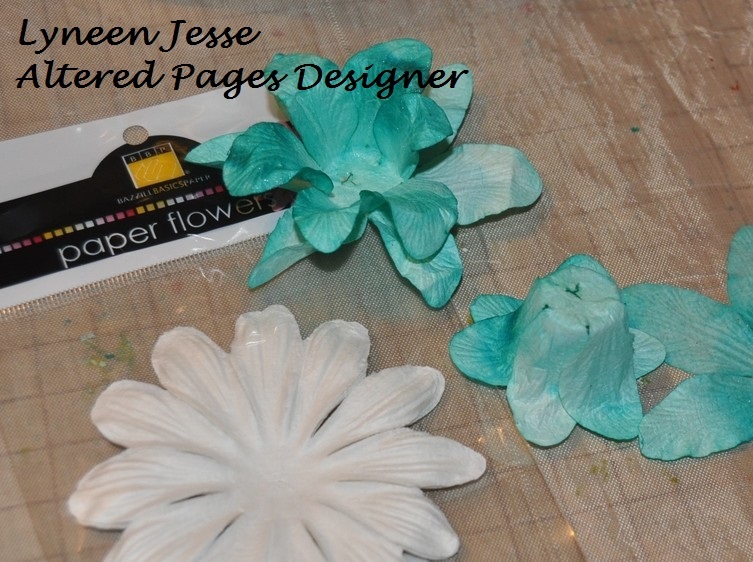 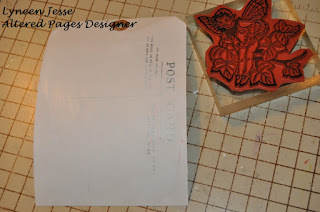 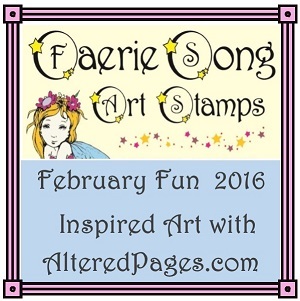 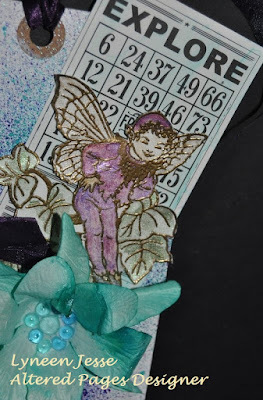 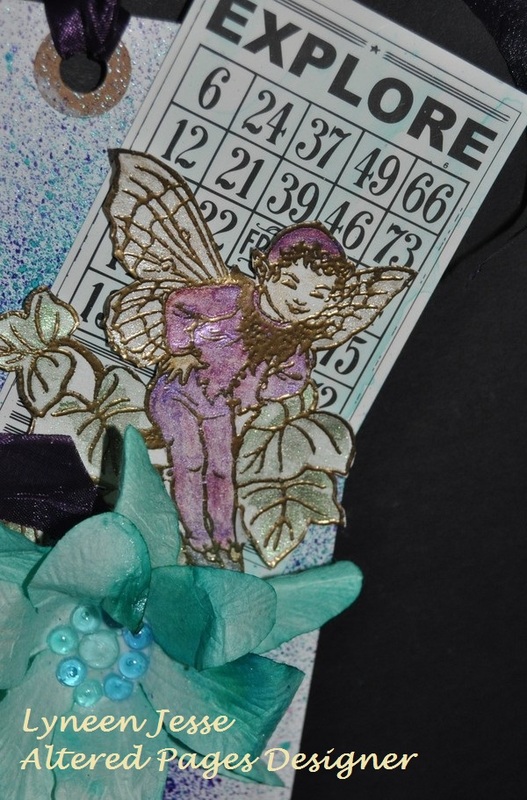 I love creating my tags this month with all the products from AlteredPages.com and our partner Fairie Song Art Stamps! 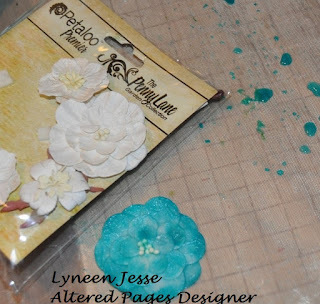 Apply Gesso with an old credit card lightly on the Postcard Tag! 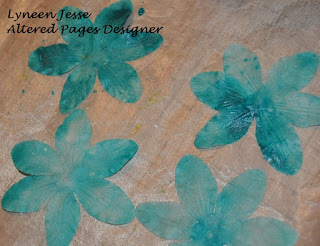 Wet Bazzill Flowers spray mist on craft mat, using Waterbrush apply mist to the wet flowers. Add color to the Petaloo Flower Dyeables in the same manner as the Bazzill Flowers with the Waterbrush. 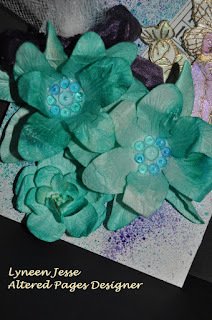 Carefully dry with heat gun. Use the water in jar from rinsing the Waterbrush to give the Bingo Card Pack - Explore a light wash, let dry. 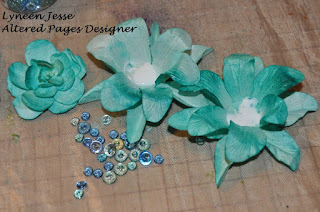 Add Dew Drops with Tacky Glue to the center of the Bazzill Flowers. 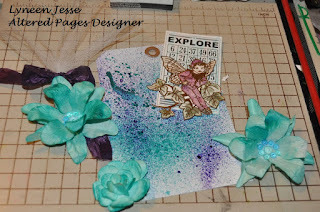 Use Black Ink to stamp Trevor from Fairie Song Art Stamps, emboss with Pirates Gold Embossing Powder and paint with Niji Paints. Spray the Postcard Tag with Mists, let dry. 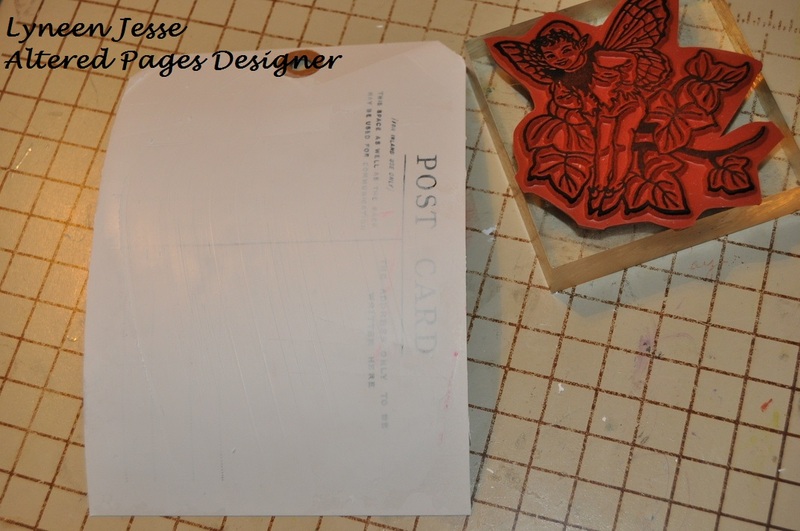 All the pieces are ready to attach to the Postcard Tag with Tacky Glue! 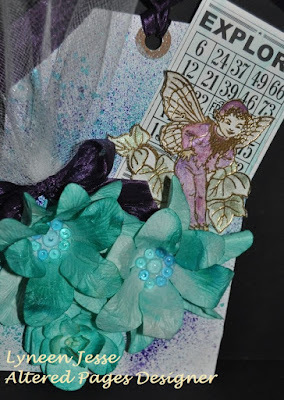 Add ribbon and tulle to finish off the tag!!! 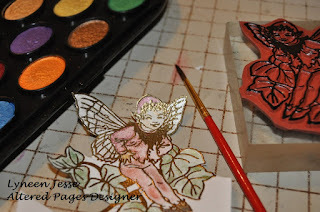 Hope you are inspired to create your own FAIRIE TAGS! Stop by again tomorrow for more inspiration! 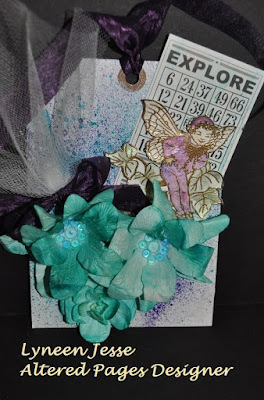 Pretty tag art! 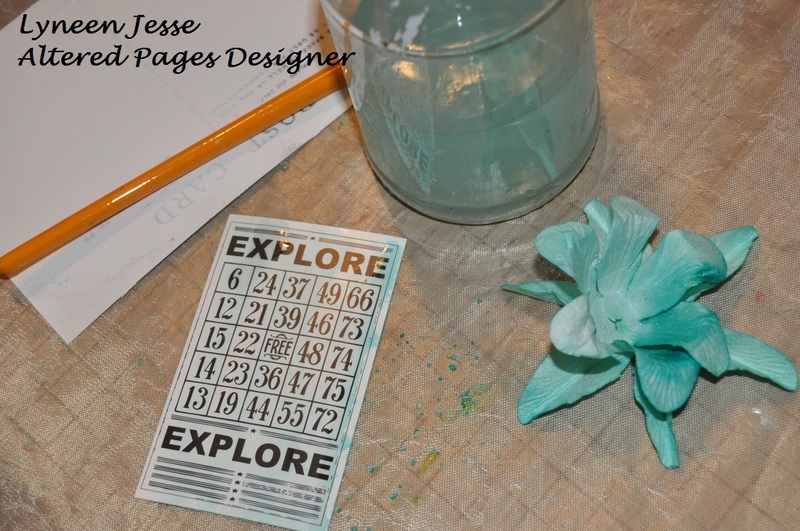 Great photos showing how to color the flowers, too.